Home / News & Press / Kinects Tower Named ENR Regional Best! 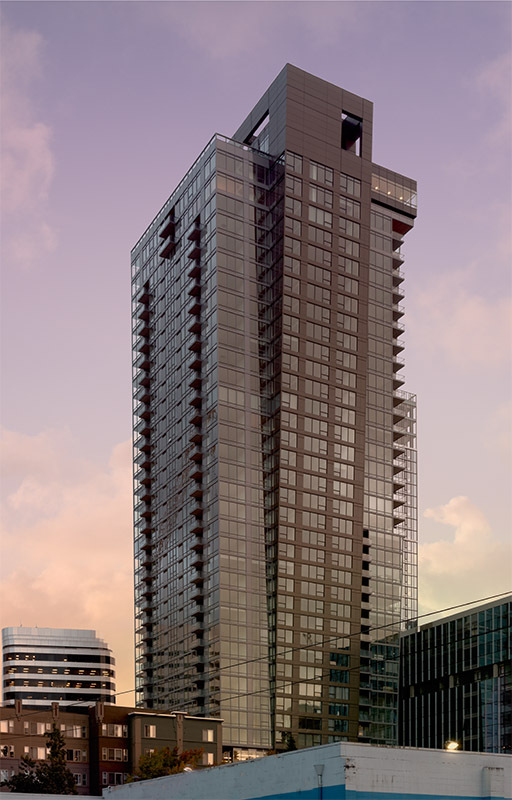 We are proud to announce Kinects Tower has been awarded Best Project for Residential & Hospitality by ENRNorthwest! Kinects’ name derives from the desire to “connect” nearby “kinetic” neighborhoods: Pike-Pine, Cascade, Denny Triangle, South Lake Union, and Seattle’s Downtown retail core. The 440′ residential tower contains the largest floor plates on the top, where the views are best, and the smallest floor plates at the sixth floor where views may be blocked, resulting in a dramatically sloping inverted pyramid on three sides. Once you reach the top, there is a common space with expansive views of the city. Thanks to Andersen Construction for submitting Kinects. Please learn more here.